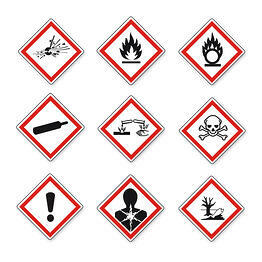 On June 1st, compliance with the new Globally Harmonized System (GHS) and all modified provisions of the final rule goes into effect. Some manufacturers have already begun to produce labels that are compliant as well as new SDSs, and we hope many others will follow suit before the June 1st mark. Yet many businesses haven’t began the process of using the relabeled chemicals and using the proper data sheet to review the controls of hazards. Why Is This A Crucial Update? Labels are an important part of maintaining a safe environment in the workplace, having the knowledge of how everything should be handled can lead to lower incident rates and a better productivity rates. Being aware of the upcoming changes in the GHS and SDS standards before they being to change gets your company ahead of the game when it comes to safety. Here is an overview on how to prepare for the GHS and SDS changes. As with everything else, employers, supervisors and managers must be trained on the upcoming changes. A great way to start is by acquiring new SDSs prior to arrival of chemicals at your facility. It’s also important to note that it may take manufacturers some time to get their labeling in order, but check with them periodically to ensure your workers know the necessary adaptations. Once the new GHS standards are in effect, is the employer’s responsibility to update their HAZCOM binders or SDS books. Even before the relabeling begins, proper training must be implemented in the workplace for workers to understand what role they play. For current employees, employers must provide a refresher course that contains the new GHS regulations as well as the new SDSs. The deadline to complete these regulations is June 1, 2016; this means all of workers must be trained by then. Employers should prepare for these changes as soon as possible. Want to get the necessary training? Download our free training catalog for more information on the classes your workers may need.